Earth-like planets orbiting other stars in the Milky Way are three times more likely to have the same type of minerals as Earth than astronomers had previously thought. In fact, conditions for making the building blocks of Earth-like rocks are ubiquitous throughout the Milky Way. The results of a new study of the chemical evolution of our galaxy are being presented today by Prof Brad Gibson, of the University of Hull, at the National Astronomy Meeting in Llandudno. Minerals made from building blocks of carbon, oxygen, magnesium, and silicon are thought to control the landscape of rocky planets that form in solar systems around Sun-like stars. A subtle difference in mineralogy can have a big effect on plate tectonics, and heating and cooling of the planet’s surface, all of which can affect whether a planet is ultimately habitable. Until now, astronomers thought that rocky planets fell into three distinct groups: those with a similar set of building blocks to Earth, those that had a much richer concentration of carbon, and those that had significantly more silicon than magnesium. Gibson and team from the E.A. 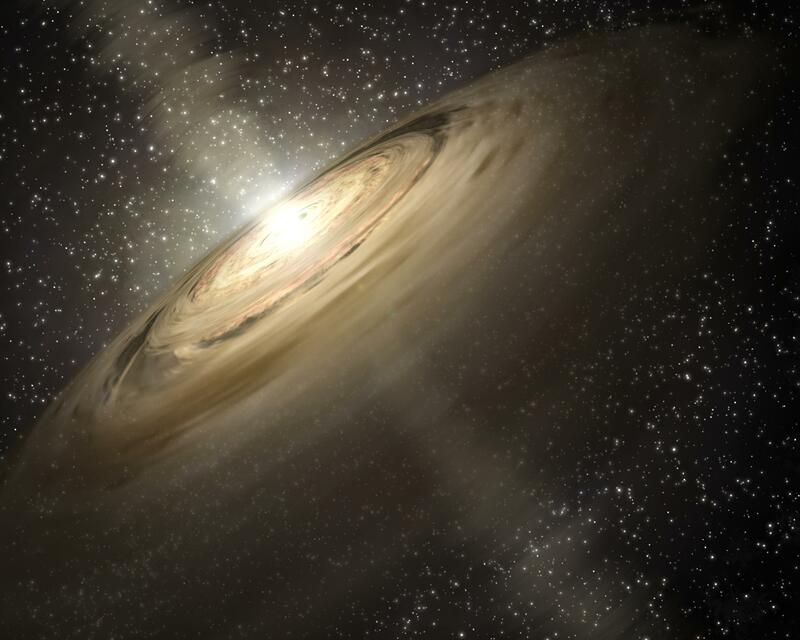 Milne Centre for Astrophysics at the University of Hull have constructed a sophisticated simulation of the chemical evolution of the Milky Way, which results in an accurate recreation of the Milky Way as we see it today. This has allowed them to zoom in and examine the chemistry of processes, such as planetary formation, in detail. Their findings came as something of a surprise. The cloud out of which the solar system formed has approximately twice as many atoms of oxygen as carbon, and roughly five atoms of silicon for every six of magnesium. Observers trying to ascertain the chemical make-up of planetary systems have tended to look at large planets orbiting very bright stars, which can lead to uncertainties of 10 or 20 per cent. In addition, historically the spectra of oxygen and nickel have been hard to differentiate. Improvements in spectroscopy techniques have cleaned up the oxygen spectra, providing data that matches the Hull team’s estimates. The research on the Galactic Terrestrial Zone has been carried out by Brad Gibson, Chris Jordan, Kate Pilkingon, Marco Pignatari at the E.A. Milne Centre for Astrophysics at the University of Hull.